1. Blue Feather Headdress from Gather. 2. 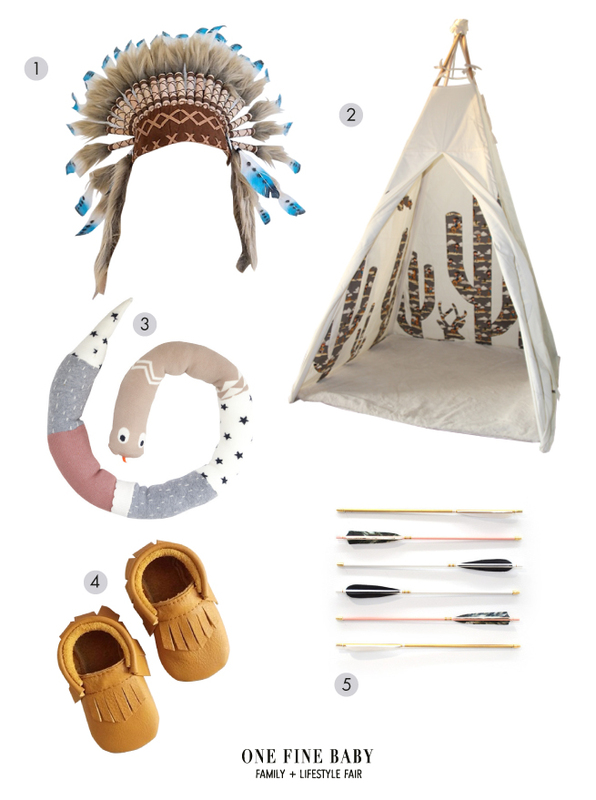 Cowboy Teepee from Joiejoy. 3. Snake Toy from The Gathered Store. 4. Mustard Tan Moccasins from Hubble + Duke. 5. Mineral and Matter Mini Arrows from Tiny People.